ABAA’s mission is to promote the use and benefits of air barrier systems, educate the public about air barrier systems and develop a professional air barrier specialty trade and industry dedicated to the installation of effective air barrier systems in buildings on a nationwide scale. The association’s on-site quality assurance program is the result of a variety of initiatives that provide a level of assurance that a specific product is installed correctly or a specific service is being provided to the highest possible standards. Our quality assurance program (QAP) ensures that the product or products have been installed correctly deals with the methods and procedures in place to provide assurance of proper installation. ABAA’s Quality Assurance Program consists of 9 components, all working together to provide a high level of confidence that the air barrier will be installed correctly and to high industry standards. ABAA’s QAP is modeled after the standards laid out in the ISO 9000 program. As a way of engaging members and creating value for your membership, the association organizes and participates year round in trade shows that help members stay up-to-date with industry developments, seminars and workshops to provide continuing industry education. We strongly believe that continuing education and professional development is key in order to succeed in the ever changing and growing air barrier industry. We offer professional development opportunities in the form of workshops, seminars, and training classes year round. As a member of the association you receive a fast pass to noteworthy news or developments in your industry. We distribute a quarterly newsletter and other industry relevant bulletins and updates to all our members throughout the year. Staying up-to-the-minute on industry news allows our members to take advantage of changes or developments that might otherwise have passed them by. 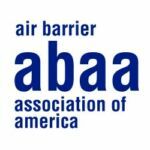 The air barrier association can assist with industry best practices specific to your line of work. Whether you’re new to the industry, don’t have much experience or are just looking to expand your knowledge, ignorance of best practices can pose a serious business and reputational risk. Fill out online application to Join ABAA today! Or download an application to print and fill out offline. Copyright © Air Barrier Association of America 2017.